Ahead of its reveal at the 2019 Geneva Motor Show, Italian design house Pininfarina has announced the name for its upcoming all-electric hypercar. 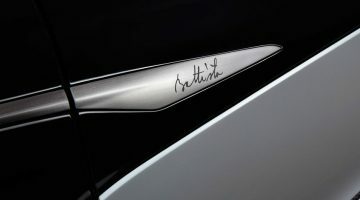 The name ‘Battista’ has been taken from Battista ‘Pinin’ Farina, the founder of the Carrozzeria Pininfarina coachbuilding company that he started in 1930. Dubbed the ‘most powerful Italian performance car ever’, the first full car to be sold as a Pininfarina will feature an all-electric powertrain producing 1900bhp and a staggering 1696lb ft of torque. As you’d expect from such figures, performance numbers are rather extreme too. The brand claims it will sprint from 0-100kph in under 2sec and to a top speed of over 400kph. 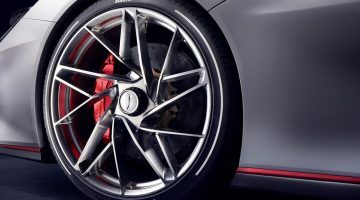 Unlike most electric cars, Automobili Pininfarina is experimenting with including two forward gears in its hypercar to give a greater range of speeds. Although you likely won’t extract such range when travelling at top speed, the brand also claims the model will be capable of over 480 kilometres of zero emissions driving. Automobili Pininfarina has confirmed its electric hypercar will be constructed using a bespoke monocoque chassis and body panels all made from carbonfibre. A battery pack will sit aft of the two seats and will power four electric motors, one for each wheel. Pininfarina has also announced that Rimac, creator of the exceptional Concept 1, will be a technical partner and will supply the batteries and drivetrain for the final car. In order to allow the design and engineering side of the company to operate freely, Pininfarina has set up an entirely new company to manufacture the new range of road cars. From late 2020, 150 Battistas will be available with just 50 cars allocated to Europe, each costing from between $2 million to $2.5 million. Even though the Battista has been designed around a fairly unconventional drivetrain, it still looks just as you might imagine an Italian hypercar to look. 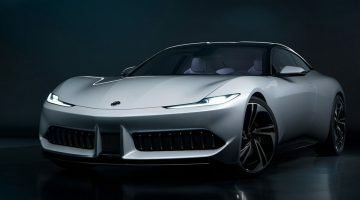 There’s hints of the LaFerrari in its cockpit-style roof line and sharp front end, and the full-width front light bar is familiar to anyone who’s seen Pininfarina’s Ferrari Sergio. Its almost conformist look, however, means there’s very little that’s challenging to the eye, and overall it’s a very pretty car.